Becoming fluent in a foreign language takes years and years of practice. And if you’ve planned a trip abroad, you probably don’t have that kind of time, money or energy. 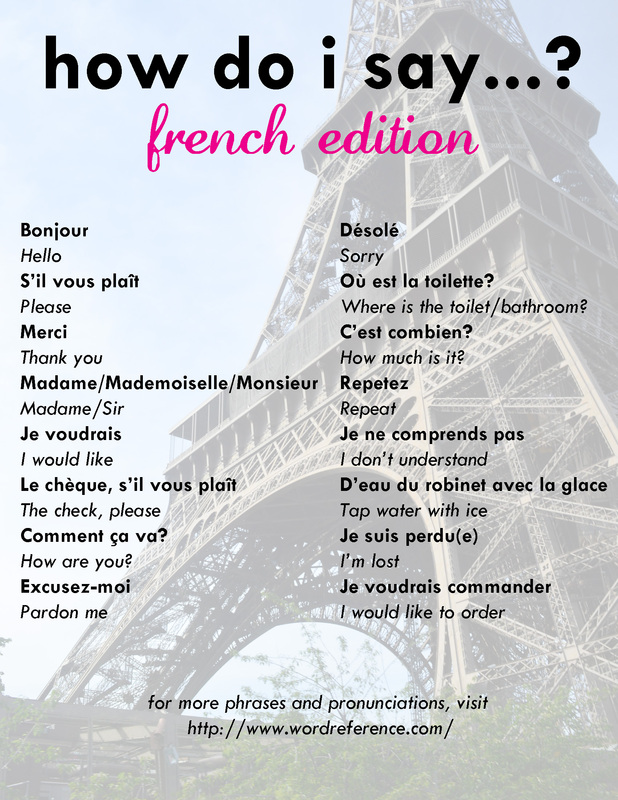 So, if you’re headed over to France, here are some useful phrases you may want to become acquainted with before departure. But what’s the point? Parisians all speak English anyway! However, it’s been said that Parisians are nicer when you at least attempt to speak French. And after spending some time there, I would absolutely agree! For more phrases and pronunciations, click here. Bonne chance! Love meeting other language learners! No problem!! Thanks for reading 🙂 and yes, always learning more! You should check out Duolingo!